← Forsaking Hope: Fair Cyprians of London by Beverley Oakley ~ Giveaway! I’m pleased to share a new Wild Rose Press release from author Cat Dubie! –Welcome, Cat. Please tell us a little about yourself, where are you from? Where do you live now? I was born in a small town in Austria. When I was four, my family immigrated to Canada, to the lovely city of Edmonton, Alberta. Now my husband and I reside on the beautiful West Coast of British Columbia. Our three grown children and their families live nearby. And we inherited Roxy, a lovable Shih Tzu, who keeps us on our toes. – Where did you get the idea for The Queen of Paradise Valley? I got the idea for The Queen of Paradise Valley after watching reruns of the TV series The Big Valley, and playing the “what if” game. What if the sweet blonde daughter ran the big ranch? What if she’s the polar opposite of sweet? What will she do when she meets her match? – What is the most difficult thing about writing a book? What was the most difficult thing about this one in particular? The most difficult thing for me about writing is assembling required research. Luckily, I enjoy doing research. Sometimes too much – I tend to go off on tangents when something interests me. But nothing is wasted. I try to organize everything for the possibility I can use the information in the next book. For this book in particular, although I’ve done a lot of mountain wilderness camping and traveling through ranch country, I needed many specifics. I love the Internet! – What book have you read that you wish you had written? AWAY by Jane Urquhart, an engrossing, haunting novel filled with beautiful prose and amazing word images. – What do you love that most people don’t like and wouldn’t understand why you do? As it’s close to Christmas… I love holiday fruitcake. No one in my family or circle of friends eats fruitcake. – What do you dislike that most people wouldn’t understand? I dislike cinnamon anything and gingerbread anything. – Do you collect anything? – What’s the main thing that you could get rid of in your life that would give you more writing time? Having to do family accounting. And income tax. Eats up a lot of time. – What’s your favorite book of all time and why? What’s your favorite childhood book? Too many favorites to decide on one. I loved Heidi when I was a child, and anything horse related. – What do you want readers to come away with after they read The Queen of Paradise Valley? 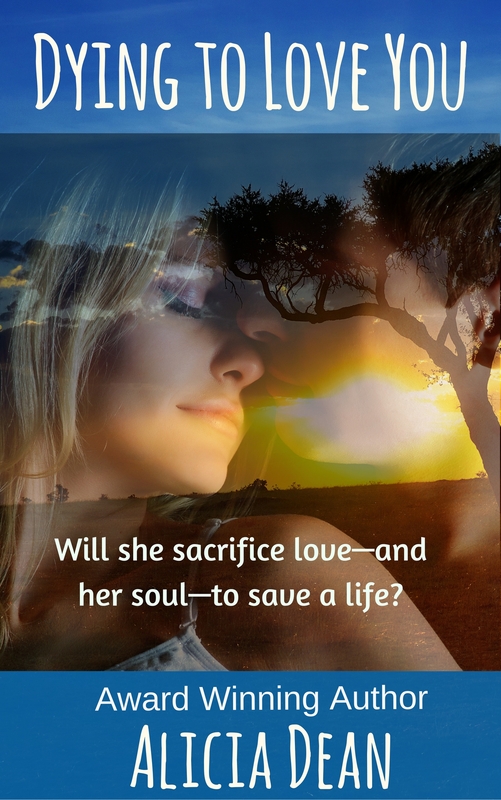 I’d like readers to think “wow – what a ride!” And to feel satisfied. – Would you rather have a bad review or no review? – What is your favorite quote? – Are your characters based off real people or did they all come entirely from your imagination? Entirely from imagination. I don’t know any real people who look or act the way my characters do. – How did your interest in writing originate? I started writing poetry at a young age. When still in elementary school, a friend and I collaborated on a story. I wrote and illustrated it. [My friend colored the pictures.] I wrote my first novel, a mystery, when I was eleven. I proudly showed it to my teacher and, despite its many flaws, she encouraged me to keep at it. Music – I listen to all, from New Age to classical, alt rock to old country. Thank you, Cat. I enjoyed the interview, but I will say I do NOT understand your love of fruitcake and your dislike of cinnamon. 🙂 Cinnamon is one of my favorite flavors! Readers, Cat is giving away a copy of her book to one lucky commenters. A name will be drawn at random this weekend. Four years later, Del is back in her life with a vengeance—back for his rightful share of Diana’s ranch, back to prove he isn’t the criminal she thought he was, back to finish what the two of them started years ago in a passionate daze. And he isn’t going anywhere, no matter what beautiful, treacherous Diana does or says to try to get rid of him. He opened his eyes and tried to focus. Falling . . . He was falling into darkness . . . Someone had been shot. He blinked to clear the fog from his vision. A grave-eyed man, cheeks red from the cold, bent over him. And then it came to Del. He was the one who had been shot. And now he lay on Diana’s bed with folded sheets forming a pad beneath him. “Then I’ll go down to him.” Del tried to swing his legs over the edge of the bed. Nice to meet you, Cat! I understand completely about Family Accounting and Tax Preparation….do it every year LOL! Thanks for the encouraging words, Pam. Some chores are too hard to ignore. The Big Valley was a show I never missed! Intriguing What If question. I can’t imagine Audra as “not so sweet”! Love the excerpt! She was a sweet one, wasn’t she? Sometimes too much so. Thanks for the comment. Hi Cat. OK, I’m hooked on your book from the enticing Blurb and Excerpt—it’s definitely going on my holiday TBR pile—but fruitcake? Really? About fruitcake – I grew up eating my grandmother’s version – loved it – and continue on for old time sake. Thanks for leaving a comment! My eleven-year-old would be aghast at your dislike of cinnamon. He LOVES the spice! I enjoyed reading about you and your book! Good luck to you! My family is aghast as well! My distaste of the beloved spices developed later in life rather than earlier. Thanks for commenting. Thank you Alicia for hosting me today. It was fun answering all the questions and sharing a bit about my life. Always interesting to learn about my fellow writers. Good luck with your book (don’t enter me in your giveaway, I’m just here to show support). Thanks for your support, Jennifer. Great interview. Love your quote…very inspiring. Your book sound like a great read. Thanks for visiting and leaving a comment. Appreciate your nice words! Cat, we have so much in common! Love the interview and the book excerpt. I’m with Jennifer. Just here to show support for a fellow Rose. No need to enter me in the contest. Good luck! Thanks for stopping by and commenting, Kay. I like fruitcake at Christmas, but only if it’s good and soaked with rum! There’s one made by monks in Kentucky that is really good. Soaked with rum sounds pretty good. Thanks for visiting! 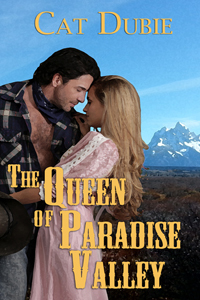 “The Queen of Paradise Valley” sounds like a great western read. Best of luck with sales and promotion. Happy Holidays! Thanks for commenting, Judy. Happy Holidays to you, too! Great interview, ladies. I agree with Alicia about fruitcake. To each his/her own., I always say. LOL Wishing you much success. Thanks for the good wishes, Diane. Nice interview from Canada–one of my favorite visiting spots w/nephew and his family in Ontario.We have a lot in common. I, too, love research and sometimes overdo it. I once read six entire books on large-animal vets for a minor character. I, too, loved HEIDI and named my only daughter, you guessed it–Heidi! Your book sounds compelling. Best of luck! Sounds like me doing research. Sometimes things are just too interesting! Thanks for the comments. Wonderful interview! I enjoyed hearing about your stamp and coin collections, Cat. I still have my box of old coins that I began around age 10. I was obsessed with collecting pennies with the word “one cent” on the back. Wishing you all the best! We had jars of pennies [Canadian] and cashed most of them when they stopped making pennies. Waiting now for nickels to bite the dust. Thanks for your comment, Mary.